A 49-year-old woman is in hospital after a single-vehicle collision in Cooksville Tuesday. 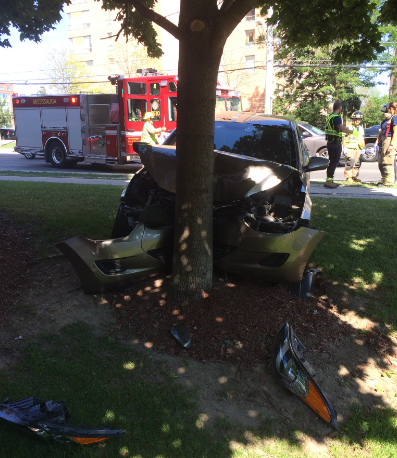 “She drove off the road and hit a tree,” said Peel Police Const. Mark Fischer. Emergency crews were sent to Dundas St. W. and Rugby Rd. at 9:50 a.m.
Paramedics treated the woman before taking her to hospital as a precaution.